A wonderful summertime journey through Hampshire's countryside towards the coast. 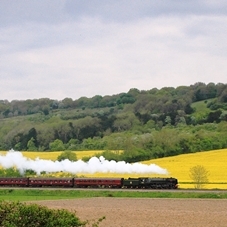 Premier Dining and Pullman Style Dining passengers will be served a Champagne Cream Tea on this tour. Fares for this tour start from £69 in Premium Standard, £129 for Premier Dining and £175 for Pullman Style Dining.